Please check out the video below that introduces this project, the last day to give is tomorrow, what an amazing thing! I love Don’s writing and hope that this movie will represent his heart and soul well. And to top it off, it will be filmed here in Nashville! Even by giving a buck you can be a part of this. You can purchase the album from there website here or you can download the complete album for $9.99 from iTunes here. ENJOY!!!!! We took advantage of the free admission day at the Country Music Hall of Fame in downtown Nashville. 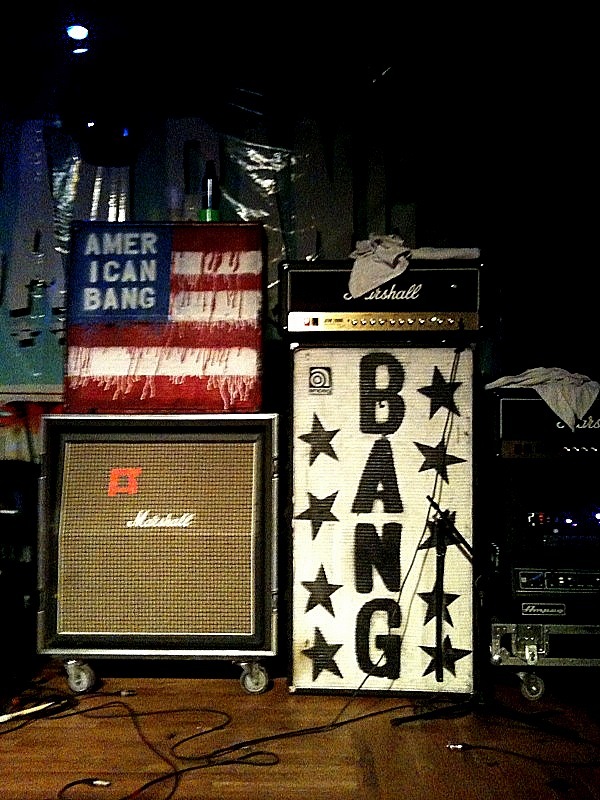 They have what’s called a Musical Petting Zoo where kids can go play instruments they might not normally get to touch! Parks had a great time with the slide guitar (because it was the loudest), he’s the first kid seen in the video. It was fun and best of all, FREE! 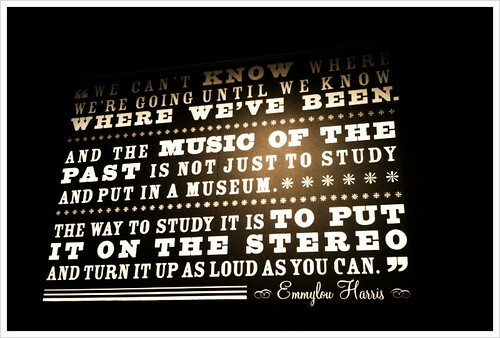 Quote by Emmylou Harris, originally uploaded by dancemntn. Welcome Margot to my family, my little brother’s new Weimaraner puppy. She’s beautiful and fun, and quite a handful…I got to see her last month when we went to visit my brother in Nashville. It was a great trip, too short, but I finally got to see his new house and meet our new family member! By the way it is Justin’s birthday today, Happy Birthday Bro! I love you and am so proud of who you are! May your soul continue to shine in everything you do!